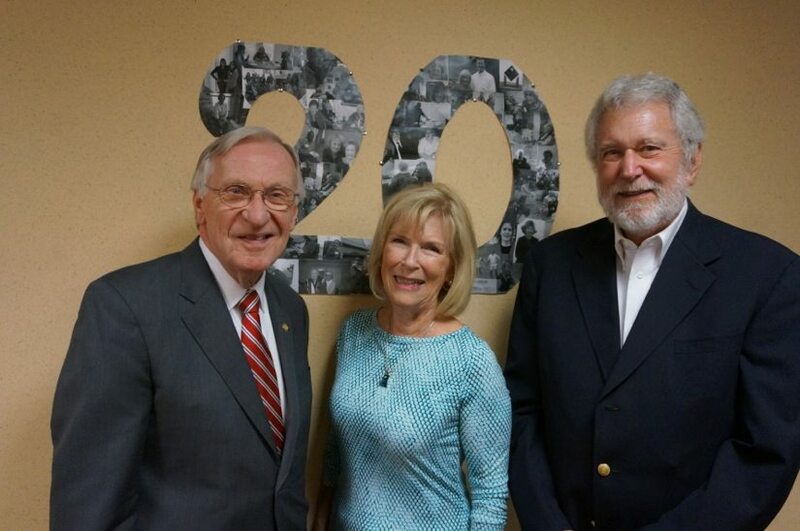 GraceFul Care, a Reston business that provides companionship and assistance for senior citizens, celebrated its 20th anniversary with a reception at Hunters Woods Fellowship House on Tuesday. Bringing GraceFul Care and Fellowship House together highlights the need for continued and expanded services for seniors in our community, said Rev. Faye Codding, Community Outreach Coordinator for Fellowship Square. Fellowship Square is the non-profit that subsidizes five housing facilities for low-income seniors in the Washington, D.C., area, including two in Reston (Hunters Woods and Lake Anne). “We have 285 residents at Hunters Woods who are all over 62, extremely low income and some are disabled,” Codding said. The money raised on Tuesday will go to a fund that helps residents pay for extras such as medical supplies, food, doctor’s co-pays and other expenses that can be tough for seniors to cover, said Codding. There is a waiting list for subsidized units at both of Reston’s Fellowship Houses, which highlights the need for affordable housing here, said Cornerstones CEO Kerrie Wilson. Meanwhile, GraceFul Care, which was founded by Dave and Pat Williams in 1995, has been honored by the Greater Reston Chamber of Commerce, Leadership Fairfax, AARP and the Herndon-Dulles Chamber of Commerce, among others, for both their work as a successful local business and a quality agency for senior help. Their son-in-law, Dan Flavin, is now running the company.